Quadrant Two Chosen By R. Paniagua Inc.
Quadrant Two Public Relations has been selected to run media relations and national in-house events as the new PR firm working for R. Paniagua, Inc. Quadrant Two will be responsible for handling mainly event promotion and organization. The event promoter has hired the PR agency to work with them on a number of upcoming events, including the 21st Annual Hispanic Achievement Awards at Yankee Stadium, McDonald’s FiestaTour Music Experience Tropical Night at the Seaport Concert Tribute to Eddie Palmieri’s 50th Anniversary in Latin Music, and the DominoesStars.com National Puerto Rican Day Parade Celebrity Dominoes Party and tournament held at the cache LQ night Club in New York City. “The fit with RPI is a good one, since their work is in both US Hispanic and general markets. RPI understands the need to hire an agency that has an impressive insight and track record of thought and tactical leadership in the Hispanic and Multicultural markets, in addition to strong general market capabilities,” said Jose Manuel De Jesus, President of Q2PR. 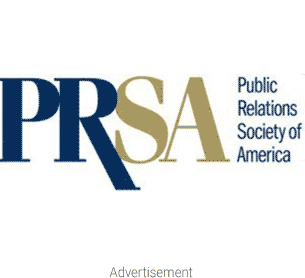 Quadrant Two Public Relations is a PR firm that specializes in Hispanic and multicultural markets. They have extensive experience to bring to the table, having been founded in 1994. With clients that range from Fortune 500 companies to firms like Anheuser Busch, Pepsi and Colgate-Palmolive Company, the firm is more than equipped to work with R. Paniagua, Inc.